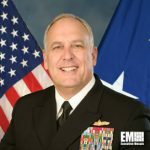 U.S. Navy Rear Adm. Scott Jerabek, director of theater engagement (J7) at the U.S. Southern Command, has been appointed to succeed Maj. Gen. John Horner as deputy director of the Defense Threat Reduction Agency. Navy Secretary Ray Mabus and Adm. John Richardson, chief of naval operations, announced Jerabek’s new assignment in a Defense Department release published Friday. Jerabek will be responsible for the agency that works with military service branches and combatant commanders to lock down, monitor and destroy weapons of mass destruction. He has directed Southcom’s J7 operations and theater security cooperation portfolio since July 2014 after one year as commander of the Navy Warfare Development Command. The more than 37-year Navy veteran also previously served as the branch’s senior representative at the Air Tactical Operation Center of the Joint Task Force-Southwest Asia in Riyadh, Saudi Arabia, during Operation Southern Watch, commodore of the Maritime Expeditionary Security Squadron 1 in San Diego and director of the Navy Element at the U.S. Army Command and General Staff College. He also worked as commanding officer of the U.S. Forces Japan Detachment as well as chief of staff of U.S. Forces Japan during Operation Tomodachi. His sea assignments include roles as gunnery officer, legal officer and damage control assistant aboard the USS Gray and as turret II officer and nuclear weapons security officer on the USS Missouri.